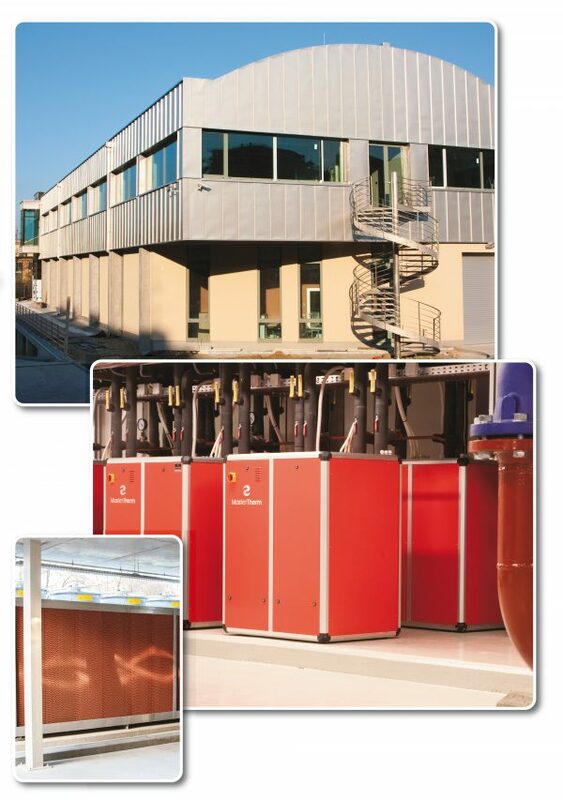 Asophisticated cooling system of the production process with abespoke design water-to-water heat pump system with increased efficiency as the system is combined with outdoor dry-type cooler for possibility of free coolin. Very high efficiency system due to re-use of process heat for heating the entire building and hot water heating. Furthermore the system can produce direct cooling water for air conditioning for the entire building. Cooling is accurately defined by the temperature gradient which helps to optimize the production process (hi-tech thin-film technique). This project was awarded the title of Environmental Construction of the Year.